money when they are young,in Nigeria today their are a handful of Nigerian teenage celebrities or teenage actresses/actors that are very rich. However,a few of these Nigerian teens are already worth millions of Naira. In this post we shall quickly take a look at some of the richest kids and teenagers in Nigeria this year. At only 17,she has already carved a niche for herself in Nollywood,she is rated as one of the youngest most successful actresses in Nigeria. Regina Daniel is a very talented actress that has been in front of the camera all her life,her mother is also an actress named Rita Daniels who is the Chairwoman of the Delta State’s Actors Guild of Nigeria. The teenager was born on October 10th, 2000,from an early age she knew that she wanted to be an actress. Her first role was when she was 7 years old in the movie titled ''Marriage of Sorrow'' by the Pressing Forward Productions studio,back then she was paid the paltry sum of about ₦7,000 - ₦ 10,000. That however has changed as the teenager is now on top of her acting game,not only is she a bankable teen actress,she is also now a movie producer at a very young age. Regina disclosed that she charge between ₦ 400,000 - ₦ 600,000 for a movie role,some of the movies that she has featured in are : "The Jericho,The Bat-Man,Stronger than the Gods,Jaja the Great""Twins Apart" Etc. She has a lot of fans on social media,especially Instagram,on Instagram she currently has over one million followers. She has a foundation called the ''Regina Daniels Foundation'',Regina is currently a student of Igbinedion University Okada Edo State. The teenager drives a Lexus SUV,she is estimated to have a net worth of about $30,000 - $60,000 US Dollars (₦ 10,000,000 - ₦ 20,000,000) Est. Holding tightly to the second spot on our list of richest teens/kids in Nigeria is Emmanuella Samuel. Emmanuella is already making money at the tender age of 6. She was born on 22nd of July 2010 in Port Harcourt,although she is a native of Imo state,her break through came after one of her comedy skits ''This is Not My Real Face Oh'' went viral on social media. Emmanuella is one of the youngest kid comedienne-prodigy in Nigeria. The youngster who is not even yet a teenager,but she is the main star whenever she features in her uncle's ''Mark Angel Comedy'' clips. Her videos on YouTube attract millions of views and she also has over one million YouTube subscribers,a feat that no other celebrity in Nigeria has achieved. NEA Award,City People Award,Princess of Comedy award and Prominent Kid Comedienne award in Australia,she also appeared on CNN in 2016. It's reported that she will be part of a hollywood disney movie that will soon be released. 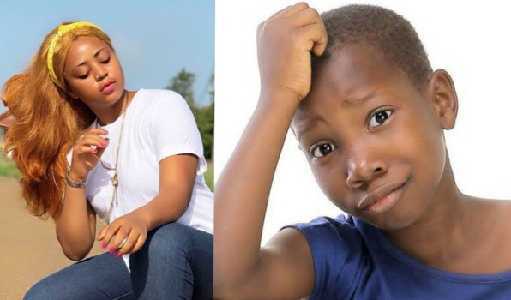 Young Emmanuella Samuel is estimated to currently have a net worth of $ 90,000 (₦ 32,000,000) Est. Fewa Otedola is the only son of billionaire businessman Femi Otedola. Femi Otedola is one of the richest men in Nigeria,he is the chairman of Forte Oil Plc and father of one Nigeria's famous Disk Jockey known as DJ Cuppy. The teenager is just 16 years old and the youngest member of the Otedola family,he is considered to be the richest kid/teenager in Nigeria considering the fact that his father is worth over $550 million dollars. He is definitely going to inherit some of his fathers wealth when he is fully grown,but as for now he is the richest teen in Nigeria.